Do I have any existing content that can still be used? Do I need to create all-new marketing pieces? Why am I investing in a campaign at this time? By answering these questions, you will be forced to consider whether starting a marketing campaign at this time is right for you and your company. If you already have a successful and popular marketing campaign, then there is little reason to change it. After all, your previous marketing campaign may have been successful for a reason, and change may result in your brand being less recognizable. If this is the case, rather than investing in a new campaign, try refreshing the one you already have, embedding new concepts within it or delivering it in a different way. Even if you only refresh your social media campaign with a few hashtags, this will ensure that you are both making your company’s marketing new and exciting while also sticking to your already tried and popular methods. If you still want to create a new marketing campaign, the first thing that you should do is to decide your overall marketing budget, as this will then help you keep the different elements of the campaign on track. To do this, you must first acknowledge your overall gross revenue, as this will then allow you to budget accordingly within your company’s means. For new companies, Entrepreneur suggests that this should be “between 12 and 20 percent of your gross revenue,” giving you the opportunity to push your company forward before you begin with the larger campaigns. Although this may seem like a lot of money, pushing your marketing strategy in the first years is key to becoming known and established and increasing your gross revenue in the years to come. Deciding on these categories will help you break down the costs of your campaign and decide on which elements you would like to focus your marketing on. For instance, if your direct mail campaigns have succeeded in the past, or you believe that this is where your target audience will be most engaged, then a more substantial proportion of the budget should be allocated to direct mail than to online advertising. By doing this, it will be easier to see where your money is going and ensure that you are not spending too much on one element of your campaign. Additionally, this will also help to keep your campaigns organized as you will be able to check your expenditure at a glance. Once you have split your costs into categories, it is then vital to calculate the costs for each of these areas. There are many different ways to do this, from online spreadsheets to creating an Excel chart by hand. If you are planning to use a design team to create your direct mail marketing campaigns for you, it is even easier to establish the costs of these ventures. To determine the cost of direct mail, using cost calculators is an easy way to let the computer do all the hard work for you. These calculate your expenses according to what type of letter you will be sending, ranging from full brochures to postcards, your postage methods and your mailing list method to establish what the cost will be individual to your business. Therefore, you can tailor your marketing methods for you, budgeting according to your expenses and company size. Once you have calculated your costs, you should decide on the methods with which you are going to create your marketing campaign. By using measurable marketing methods, you will be able to view how well certain elements of your campaign do, showing you what is profitable and where your budget should be spent in the future. This is where experience is essential as budgeting for future years will become easier once you are able to see whether direct mail, online advertising or even social media helped you to attract the most customers. However, these methods do not always have to be extravagant; there are many simple ways small businesses can achieve marketing success, including through homemade media such as charts and social media like LinkedIn. Once you have established which marketing methods work for you, you will then be able to develop more accurate marketing goals, such as increasing the amount of traffic to your blog posts or increasing social media followers. Measurable goals are essential for your profits, and so it is vital to use accurate marketing measures to establish what the best course of action for the future is. Being able to budget your marketing campaigns is important as it helps you to price your products, attract new customers without a loss and helps you to plan for the future. 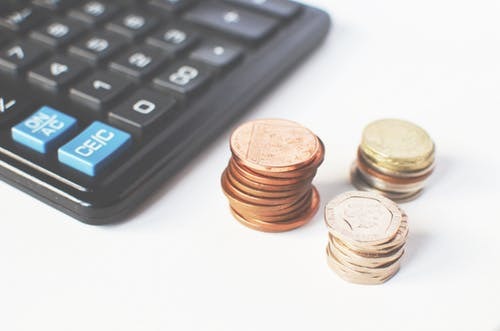 Although budgeting can be hard for a new business that has little experience of marketing techniques, being able to budget is a skill that can help you to engage and connect with clients, ensure that your outgoings are supported by your revenue, and enables you to know exactly where your money is going.